Examine sophisticated charitable estate planning techniques for business owners, including TCJA planning for owners who wish to retire and sell a business or transfer the business to family members. This seminar also covers gifts from IRAs and pension plans and zero-tax plans for individuals with large and taxable estates. "Most of us in the development profession have clientele who are business owners. In many cases they have built their businesses from the ground up through a lot of sweat and hard work. What most of us in this field don't fully understand is how we can help these special people make a meaningful transfer to the next generation without giving the lions share to Uncle Sam. 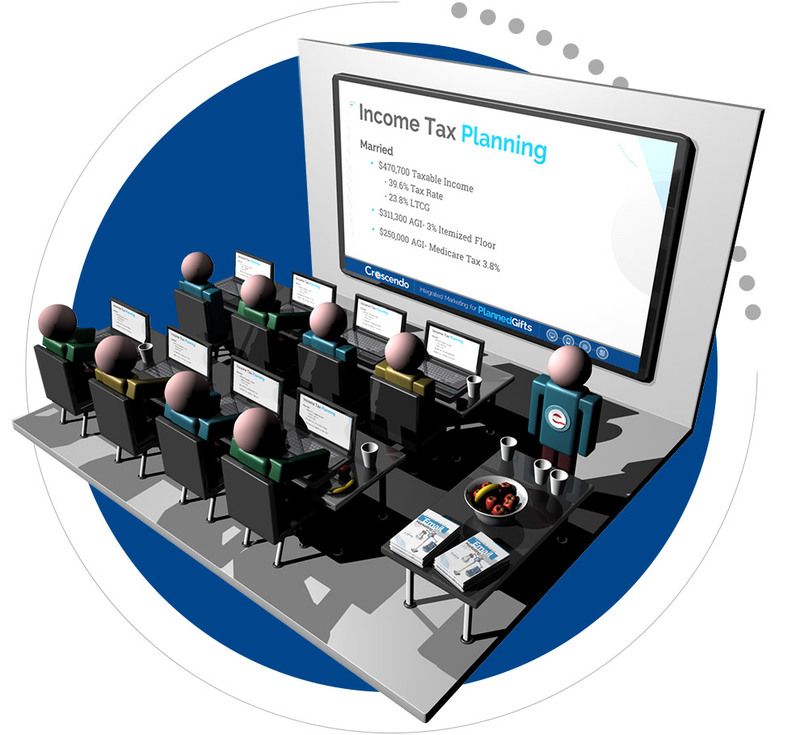 The Business Planning Seminar can prepare anyone interested in helping their clients identify better ways to provide wealth transfer while limiting taxes. I have attended many seminars on Major and Planned Giving and have close to 20 years experience in the development field but the Business Planning Seminar stands out as being the most helpful to my business clients while benefiting charity in the process." "I found the entire session very clear and useful - the best Crescendo program that I've attended. I've already put the information about IRA CRTs to work on a $1.3 million proposal." "This seminar was an excellent resource for learning about the different ways that our prospects and donors who are business owners can help the University and, at the same time, benefit themselves and their families. While this conference provides ample information for the professional who prepares the charitable gift plans, it also is valuable for the planned giving professional who primarily needs ideas to discuss with the donors and their advisors." "If you desire to learn more sophisticated ways to guide your donors, help them make larger gifts than they thought possible, or help them make substantial meaningful gifts to charity and retain more wealth for themselves and family, the Crescendo's Business Planning Seminar will certainly deliver 'leading edge' current planning options."